The minutes of the 2012 AGM were accepted with one exception, that item 11 had not been included on the Agenda for 2013. The Secretary explained the reasons for this (that he and the incoming chairman felt it was unnecessary) but he did agree to consider the matter when reviewing the constitution of FDPT which he hoped to do in the coming months. The minutes were unanimously accepted with one member voting against. 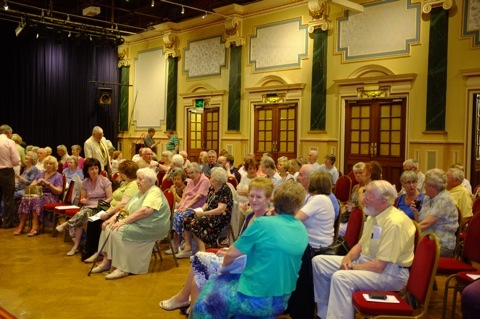 – the gents toilet at the rear of the stalls was completely refurbished at a cost of £39,194. 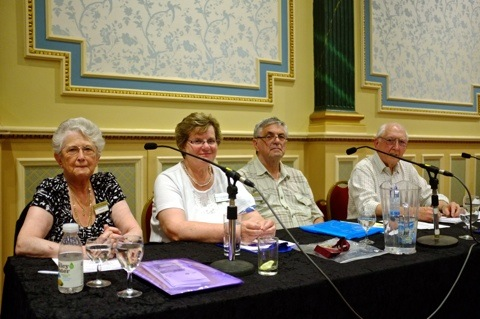 The Treasurer reported on another successful year. The accounts were accepted and the membership subscriptions for 2013/14 were agreed to remain at £12.50 (single) and £20 (double). The Officers and Committee Members were (as notified to members in the last edition of Park Scene) all elected un-opposed. Details are in Park Scene as well as being on this web-site. As members will also recall from the AGM notice sent out in the summer edition of Park Scene, two motions had been submitted for consideration at the AGM. Motion 1 was discussed at some length, motion 2 less so, and neither motion obtained the required 70 votes (2/3 of those present – 105) for approval. Gavin Davis, representing the Theatre, reported on the year past and the difficulties in being able to attract quality shows to the theatre. However, he did single out the excellent work of ‘Talking Scarlet’ in several recent productions and confirmed that he and Chris Jordan were looking forward to the rest of the year. In response to a question he said it was unlikely that the theatre would offer a 2 for 1 on 1st nights for FDPT but they were looking at ways of encouraging people to book into the Upper Circle! Most productions will only come to the DPT with a guaranteed income so the ‘£1 booking fee’ (when applied) is often the only real income the theatre gets from a show’s ticket sales. The meeting ended at 9.35 pm. 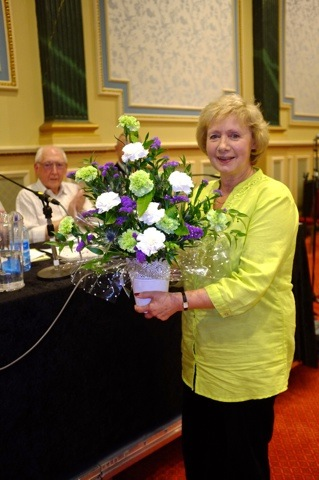 Former Chairman Angela Hughes was presented with a floral arrangement in gratitude for her hard work over the past twelve months.